Right on the beach. Great view. Close to strip, food, and grocery. Equipped with everything. Good place if you can make your own fun. Grills often don’t work, parking a bit tight. 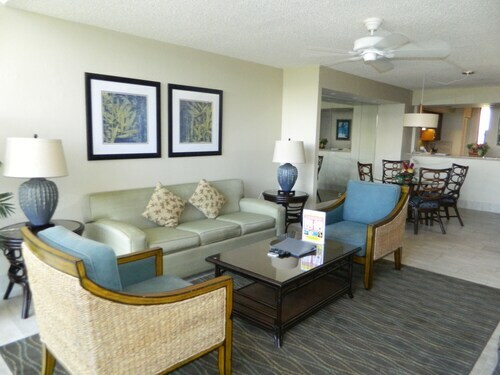 So you're kicking around the idea of a getaway to Kahana (Maui)? If you want a place to hang your hat that's located near some Kahana (Maui) attractions, just go to Orbitz, choose your travel dates, and voilà! Review the list of hotels and other accommodations to find those that are close to everything you want to see. 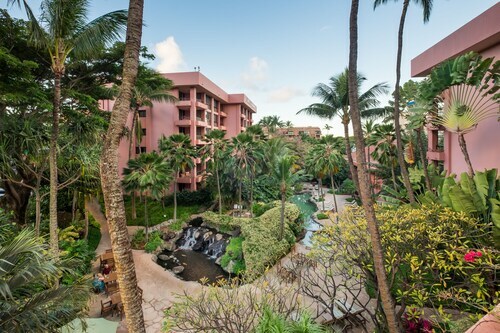 We make it easy to find a convenient flight to Kapalua, HI (JHM-West Maui), which is 0.8 mi (1.3 km) from the city center. Find the ideal flight quickly by using the filters on our site to narrow down your search. 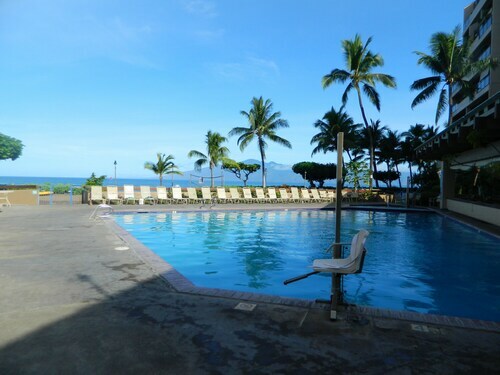 Take a dip when you stay at one of these Kahana (Maui) properties, popular for their pools. What's the Weather Like in Kahana (Maui)? I was hesitant to book this place just based on some of the reviews and photos but do not let them fool you! This place exceeded my expectations! The grounds were beautiful, the staff was super friendly and helpful, and the rooms have been updated! No more green walls or dated floral comforters on the bed and nice hardwood floors! Both the bedroom and the main room have AC units and ceiling fans. The windows and sliding doors all had screens so that you can keep them open as well! We stayed in a corner unit so our lani was nice and private! I would stay here again!